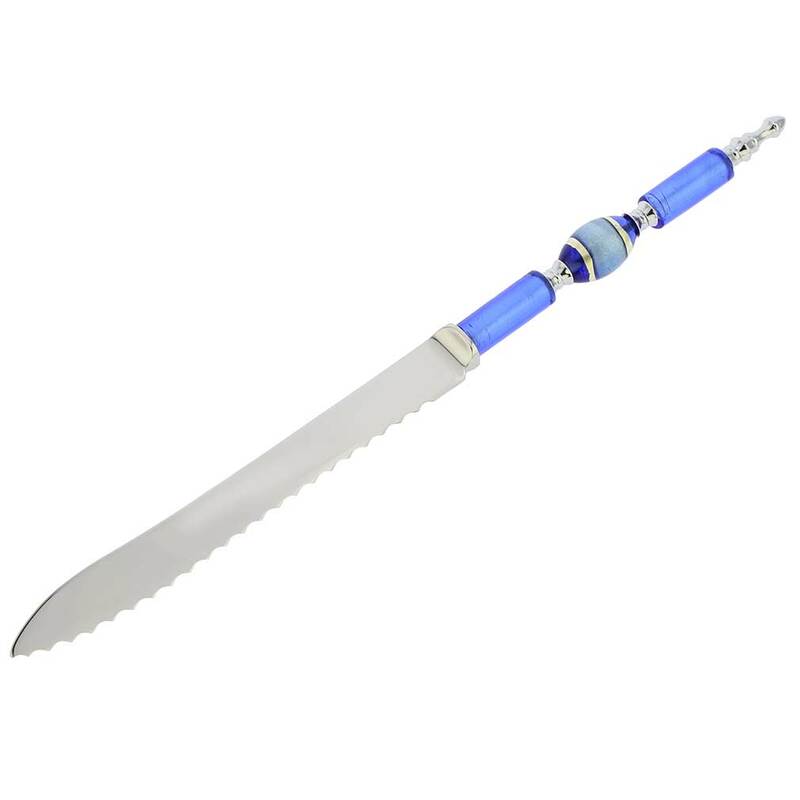 A gorgeous statement of Italian elegance and high-end style at the dessert table, this Murano Cake Knife is truly unlike any other. 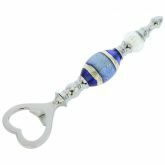 The design features the handle crafted with stunning Murano Glass jewels lined with .925 genuine silver leaf, which makes them glow from within. 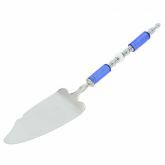 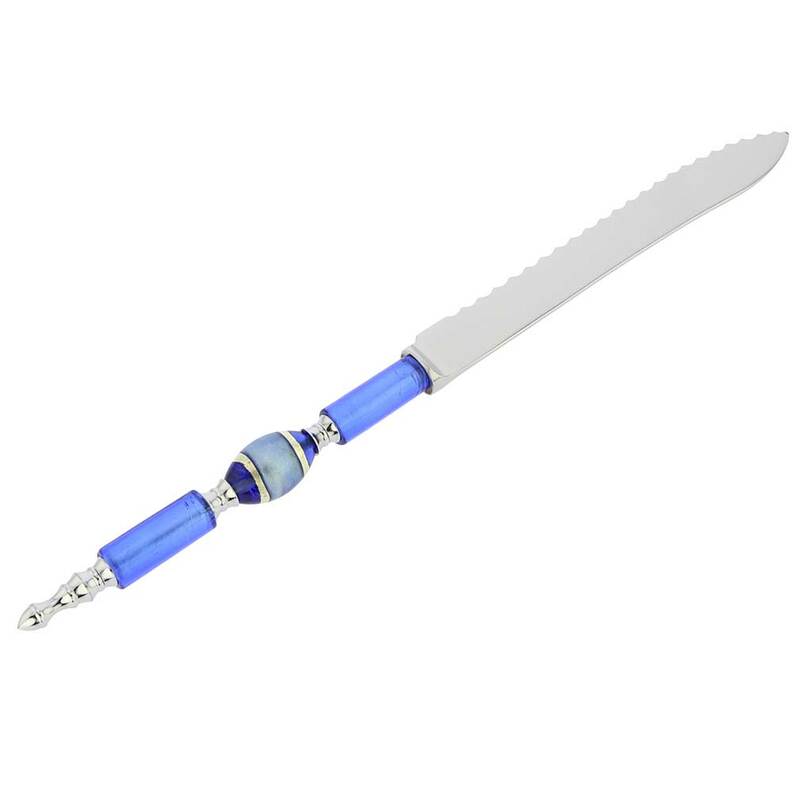 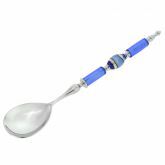 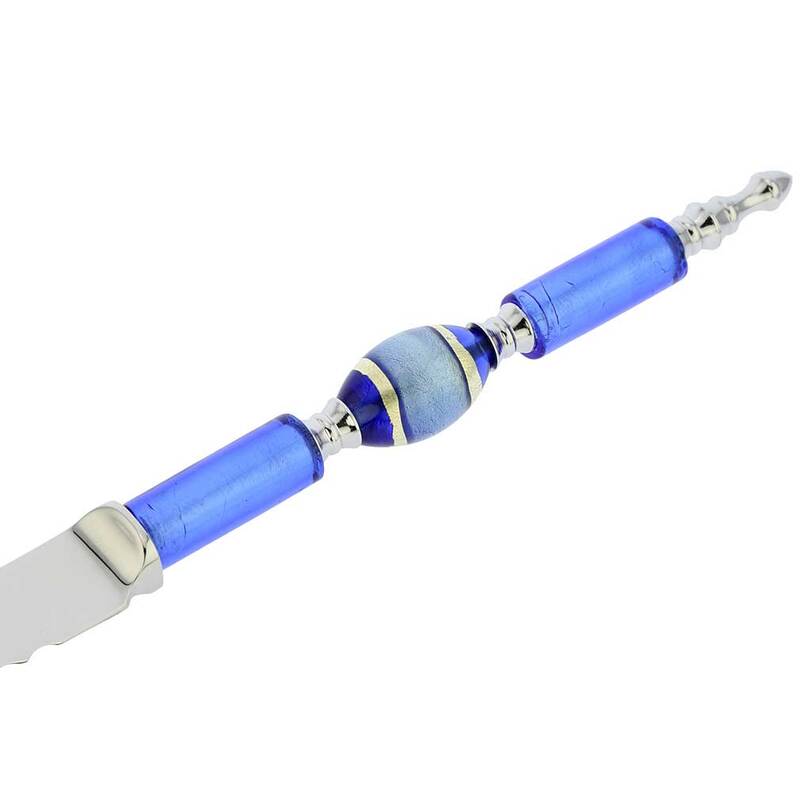 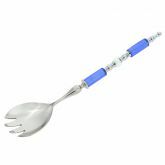 The handcrafted beads in the tender shade of blue evoke the visions of Venice and make this cake knife a fine choice for any joyous occasion. Add to that Venice's reputation as the most romantic place in the world, and you have the cake server which is just perfect for the wedding day, and which will add Venice's special allure to the celebration of love and marriage. 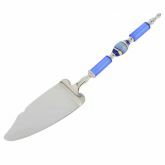 Complement this cake server with the matching cake knife to give a truly royal gift to the newlyweds, or to anyone who loves to set their table in rich Italian tradition.